Protest models are something one is unlikely to get excited about, but the range from Sail Mates is really innovative – especially if one is only used to the ‘Elvstrom’ models that were neatly tucked into the Elvstrom Rule book in days of yore – and which are no longer available! These are well made with several options available. Over the years I have often had requests for protest models and have been unable to source any until recently when Sail Mates sent me their press release. There are various options available, but what makes these unique is that one can choose the type of boat models one requires in terms of monohulls, Optimist dinghy shape and multihulls with or without a bowsprit. This means that the models will suit almost every type of boat in most racing and protest situations. And the models are relatively large too, being 50mm in length, so are easy to use especially for an umpire when on a boat at sea. All components are magnetic for use on the galvanized powder coated dry-wipe board which is an optional extra for all packs except the Coach Pack. This pack is recommended for coaches, umpires and sailors. In the above pack one can choose the type of boat from monohull, multihull or multihull with bowsprit. 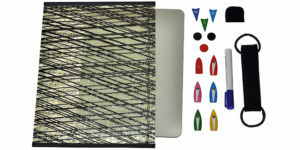 Plus all items are magnetised as there is a magnetic board as an optional extra. The Coach Pack – monohull. The Coach Pack is recommended for coaches and umpires – and is presented in a sailcloth easy-to-carry folder. • 1 galvanized and powder coated dry-wipe board, white-gray colour. Strong, industrial, UV polyethylene, mat sanded back board. 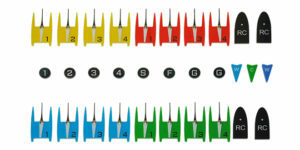 Boat dimensions are: length: 50mm; width 17mm and thickness 2.8mm. 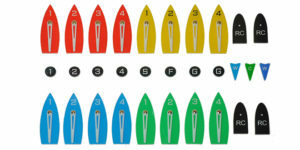 In this pack one can choose between either a standard monohull shape or an Optimist dinghy shape. There are other options too, including a Maxi Pack which is aimed at sailing schools, sailing clubs and coaches. 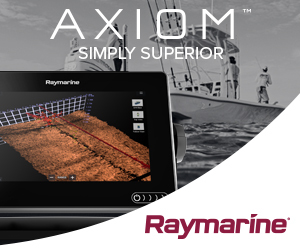 The Full Pack – multihull with Bowsprits. 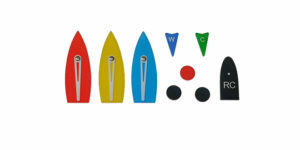 A Custom Pack includes all the different shaped boats, while the Full Pack allows one to present various situations on the water with up-to 16 sailing boats, 4 race committee boats, wind and current direction arrows and several marks. It also comes with three different boat-shapes: Standard (monohull), Catamaran with bowsprit and Catamaran without bowsprit. These are well made items which should last a lifetime, and which regrettably are not available off the shelf in the country, and which can be ordered on-line. The two key packs reviewed in detail above were sent to me for review, and arrived safely in the post. There may be an opportunity to place a bulk order should sufficient people in one area be interested, although in SA Rand terms they are expensive – but well worthwhile if you sit on protest panels or are in the habit of ending up in the protest room on a regular basis!